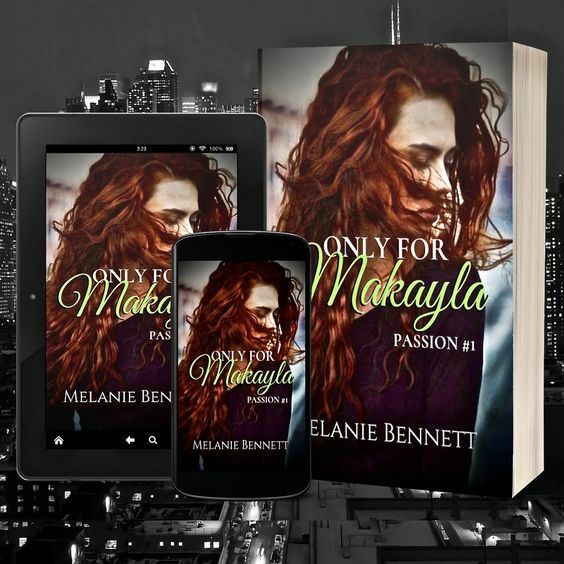 Only For Makayla is Available! On Amazon and All other digital stores! .99Cent Ebook. I'm very excited to now offer the ReNewed Version of Raf and Makayla's Love Story. I found Makayla that night. The night of the assault. Her bruised, battered body and crushed spirit, cut profoundly through my heart. The blackest, most sinful part of me, begged to destroy the sick coward. To end his life and have payback for his brutal attack on her. I made an oath that night. Our undeniable bond survived, but months have divided us and pushed our broken pieces so far apart. I can't have Makayla and risk my friendship with her brother. But I want her. I need her. Something buried inside me knows that she belongs to me, that she is mine. I made Makayla a promise. But she fights against it with determined stubbornness, to bring me to my knees and demand that I beg. I know our shattered pieces will fit together perfectly, but will she? Can she see past the scars and over her walls, that I stand right before her, waiting? Friends to Lovers, that come together in an explosive, turbulent storm of lustful passion and a complicated love, that was meant to be. Last edited by melaniebennett74 on Sun Feb 17, 2019 4:53 pm, edited 3 times in total. FEB.28th LAST day at.99 Cents! Raf Pallindino is perfect Alpha overkill and you're going to Love him! ReNewed and Re-Released Feb.10th. Raf and Makayla's Love Story. 18+ Strong Sexual Content. LINKs in Original post.